Utilizing three points of pressure, the Jewett is diamond-shaped in appearance with pads at the sternum and lower abdomen. Additionally, there is a padded posterior strap which completes the hyperextension force. It is appropriate for anterior wedge-shaped compression fractures of the vertebral body. 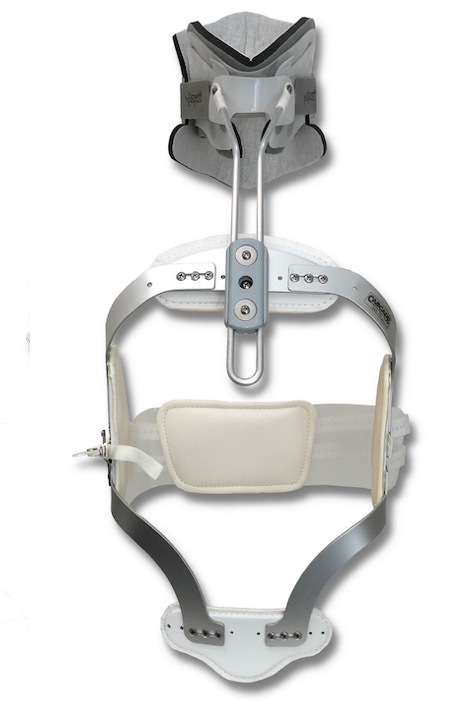 Multi-level compression fractures may be treated with the Jewett brace, while more complex burst-type fractures are typically treated with a TLSO. 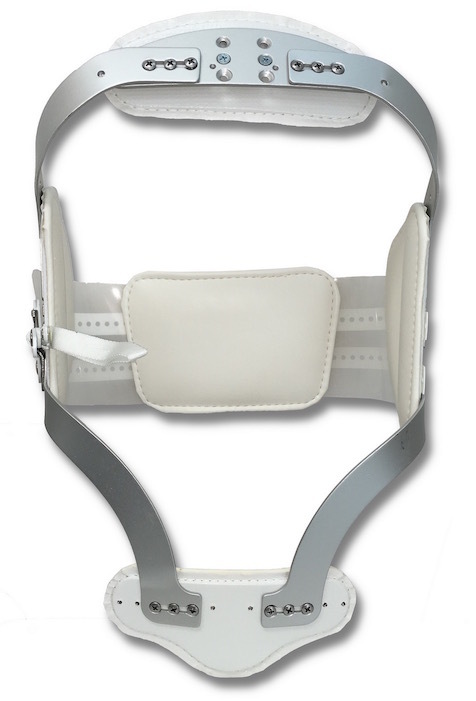 A CTO extension, consisting of a cervical collar and an aluminum upright, can also be added to a typical Jewett (CTO Jewett) in the instance of multi-level fractures in order to extend the functional range of the Orthosis. Under certain circumstances, the cost or a portion of the cost of this device may be covered for residents of Alberta by government funding.